MobilDrTech, Inc has been supplying and expanding the use of telemedicine digital stethoscopes since 2009. With digital stethoscopes being such an important tool in today’s telehealth and telemedicine practices, the ability to perform auscultation in multiple clinical settings, anywhere in the world, has become more valuable than ever. 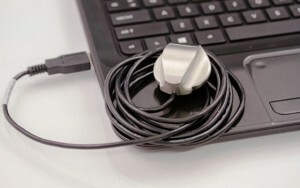 With both the PCP-1 (mic port) and the PCP-USB stethoscope, clinicians are able to evaluate patients from a distance. The availability of two optional, state-of-the-art software programs allows clinicians to conveniently and easily conduct auscultations, and adjust any of five distinct audio filters to allow for the best quality sound regardless of clinical use or body site. The audio filters along with the recommended USB headset provide, clean and crystal clear sound to help clinicians make the most informed medical decisions from a distance. PCP-SSP is an in-band software solution that installs on the patient side only and the original Auscultation Anywhere software is an out-of-band solution that installs on both the patient and physician computers and provides a separate, distinct channel for stethoscope audio. Not only are PCP digital stethoscopes easy to use, but they are also FDA approved. PCP-1 and PCP-USB stethoscopes, when used with the PCP-SSP or Auscultation Anywhere software are approved Class II Medical Devices, for use over the Internet, by the Food and Drug Administration. All transmissions are encrypted and no data is stored on any transmission servers, making the PCP Stethoscope line fully HIPAA compliant. PCP digital stethoscopes can easily be deployed on a PC desktop alongside any video conferencing or telepresence system. This allows patients and clinicians to have a truly comfortable, seamless, and personal interaction. Feel free to shop our state-of-the-art USB stethoscopes or get more information from the experts here.